Sew Curvy corset lacing is specially made for Sew Curvy in a British Factory. It 100% cotton and woven in a flat tube 7mm wide. This flat tubular weave provides maximum strength and durability. 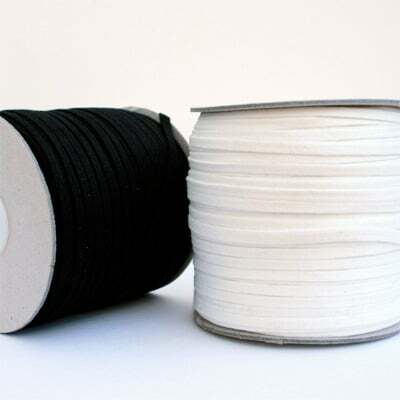 Sew Curvy lacing is used by the world famous Cirque du Soleil for their trapeze artists' costumes - they like it because it is strong, yet flexible and soft. Because the lacing is cotton, it can easily be dyed to match the colour of your corset. There are instructions on how to do this in the Tutorials section of the website. Try using tea or green tea to dye your laces a 'natural' colour. I do not supply finished laces, that is to say, with metal ends in given lengths. Why? Because those laces are exactly the same, but cost at least three times as much. However I do supply it either by the metre, or in a whole roll of 100m. Continuous lacing is economical. Ends can be finished with a knot - which will be invisible when your corset is laced, or you can whip the ends with embroidery floss or stitch on special cord ends or aglets. 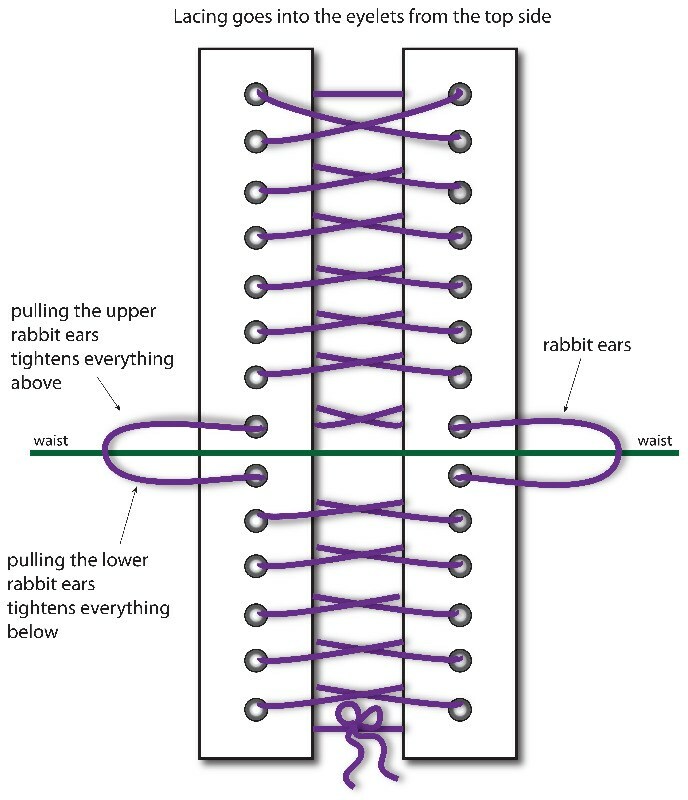 For corsets, you only need one length of lacing which is tied in the middle via 'bunny ears'. I would recommend 4m for a short underbust corset, and up to 7m for a long overbust. Click here to buy corset lacing.